Authentic Geek! 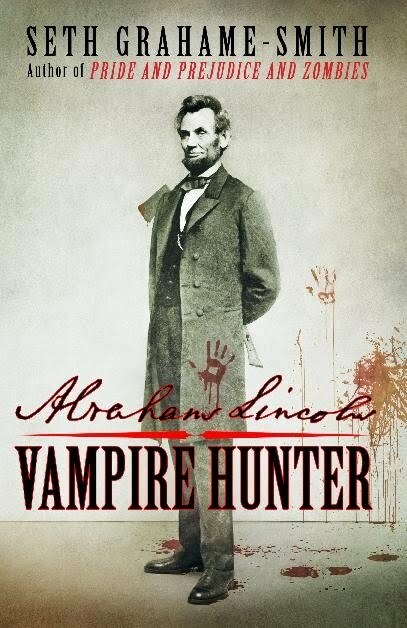 : New Abraham Lincoln Horror Movie Has A Director or "Vampires & Politics Don't Mix"
New Abraham Lincoln Horror Movie Has A Director or "Vampires & Politics Don't Mix"
If you haven't gotten a hold of it already, you should read "Abraham Lincoln: Vampire Hunter" by Seth Grahame-Smith. The book is the latest in a popular new writing genre called 'revisionist-horror', where literary works are re-written to include classic horror creatures, like "Pride and Predhudice and Zombies", for example. The book is so popular right now, it has already being turned into a major motion picture. Tim Burton will be producing and Timur Bekmambetov, who directed the 2008 film "Wanted" based on the comic book of the same name, will be directing the adaptation. Bekmambetov has said he wants to do this as much of a straight historical movie as possible, just with vampires in the mix. So, according to this synopsis, the 16th President of the USA was not only one of the most important men in history AND a vampire hunter, he has the same motivation.origin as Batman, what with the loss of family and the lifelong dedication to physical and intellectual development. Who wouldn't vote for this guy?! I think this sounds BADASS!!! !